A mark of our future professionals is their commitment to community and development, and our MBAs take the initiative to be leaders of several noteworthy organizations on campus. It’s yet another way our MBAs diversify their talents and get them one step closer to sharpening the bottom line. The Manderson Graduate of Business is dedicated to developing solid lasting relationships. Listed below are a few of the many opportunities for students to become involved in on campus and elevate their educational experiences to the next level. If you like developing strategy under high-pressure. working in teams and presenting innovative ideas, Case Team may be for you! Established in 2015, Manderson’s Case Team has gone on to win several competitions including the 2018 Race and Case, 2017 National Black MBA Association’s Graduate Case Competition and the 2019 SEC MBA Case Competition. Our team works together all year, competing near Disney World, literally on the ski slopes and more, culminating with the coveted conference championship in the spring. Members will tell you it’s time-consuming yet incredibly rewarding, fun and ultimately worth it in the end. Plus, the over $100,000 in prize money won in 2018-2019 doesn’t hurt! The MBA Association is a student-governed organization serving students pursuing the Master of Business Administration. The organization is committed to providing service to the state of Alabama, as well as a social and professional network for our current and past members. From tailgates to building Habitat for Humanity houses, to hosting professional speakers, the MBAA is a well-rounded arm of the MBA program. The National Association of Women MBAs is a not-for-profit organization dedicated to empowering female business professionals, to assisting women into leadership positions in business and to enhancing the diversity of the workforces worldwide. We serve four related client groups: female MBA students, female business professionals and MBA-level entrepreneurs, universities and corporate partners. To meet these goals, NAWMBA focuses on four key areas: education and professional development, mentorship, networking, and collaboration. This group is active and enjoys movie night, networking events, and the annual conference. The Manderson Chapter of the National Black MBA Association is dedicated to developing partnerships that result in the creation of intellectual and economic wealth in the community. In partnership with over 400 of the country’s top business organizations, the association has inroads into a wide range of industries as well as the public and private sector. The organization provides members with the opportunity to attend one of the largest career fairs in the country as well as a nationally recognized business case competition (of which our case team participates annually). An examples of their initiatives is where Manderson students helped establish a resume workshop to assist children in Tuscaloosa County Schools. 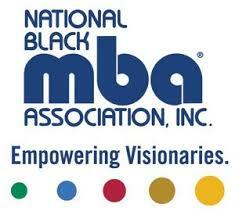 As a proud partner in NBMBAA, we commit $25,000 in scholarship funds to qualified NBMBAA members. Learn about our NBMBAA scholarship & apply here. The Council of Supply Chain Management Professionals is the student chapter of the most prominent organization for the field of supply chain and operations management. Each year Manderson students meet with industry leaders, participate in roundtable discussions, and attend the CSCMP National Conference. There is an active chapter of Toastmasters International within the Culverhouse College of Business. This is a non-profit organization committed to developing effective public speaking and listening skills in its members. Headquartered in Rancho Santa Margarita, Calif., the organization has over 8,642 active clubs throughout the U.S. and 70 other countries. A typical Toastmasters club meets once a week, giving everyone an opportunity to practice and develop their own leadership skills. The Graduate Student Association is dedicated to establishing and solidifying the rights of students pursuing advanced degrees. Often these students are overlooked at academic institutions in terms of funding, resources and other amenities afforded to those working towards undergraduate degrees. For example, the board of directors has tabled the topic of federal taxation on graduate assistantships and fellowships and is in the process of determining whether lobbying efforts should be pursued to eliminate these taxes in an effort to bring valuable leadership into the workforce without overburdening it.